What Things to Consider Before Buying Glass Beads? Beads made from glass have always been in the spotlight since the era of the ancient Egyptians. These were used in jewelry making for the Pharaoh and the royal court attendants as well. Glass beads have got a smooth texture and with their beauty, they enhance the appearance of the person wearing them as well. This is why they were of great importance in the ancient rule. Since then the use of these beads had started and are used still now in creating beautiful crafting projects. Every jewelry maker knows how important they are in creating attractive jewelry thus they always include it in their works. Visit a local bead store and go through their glass bead collection carefully. You will find that there are tons of different beads in terms of color, shape, sizes and more. The most commonly occurring beads I have seen are the manmade beads. Beads made from glass have got various types as they come from different parts of the world. You will have plenty of choices. The size of the beads you buy should be appropriate to the requirement of your project. Don’t buy beads that look attractive but have no use in your project. The wide range of colors. You will also find lots of shapes in the beads such as shapes of animals, birds, square, round, oval, donut shaped, hex cuts, cubes, triangular, etc. Ensure the weight of the bead you are going to buy. The weight should be appropriate for the project you are going to start. Don’t miss out the lamp work glass beads. Lamp work beads are similar to the glass beads and are made by hand which is why they are one of the most unique and appealing ones in the entire bead class. You can definitely assume how worthy they are by their prices. Some lamp work beads have got metal inside them making them more durable. If you think that buying lamp work beads in bulk is expensive then you can just buy a few and add in along with the other beads to make the jewelry item look beautiful. Make sure that the beads made from glass you choose are annealed. This means that the beads should be heated and cooled down in a kiln. When you set out to buy the beads you need to trust on the retailer as well. If you are looking for the annealed beads then you need to pay attention on the price. If the price is cheap then you should know that they are not annealed. All of this is from my own experience of buying glass beads and letting you know about this was my duty as I don’t want new passionate jewelry makers to be dragged here and there in search of the right thing. 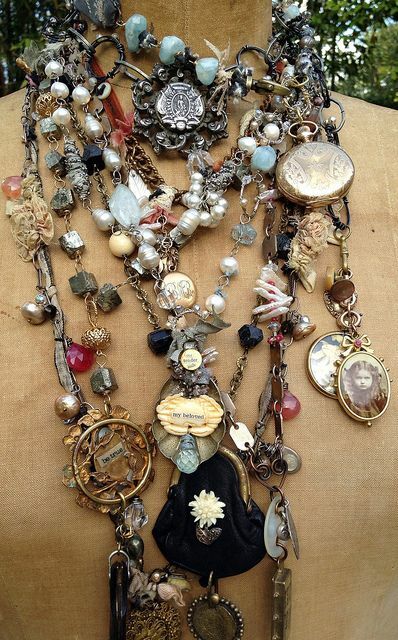 The art of decorating jewelry at home has been around for as long as it’s possible. There are many accessories available for accomplishing that but glass beads will always be a standout option to use. Why not consider them? You have all the reasons to do so considering their ornamental nature. Traditionally, these beads were manufactured using a wire rod together with mandrel. However, that has become easier these days following the advancement of modern technology. 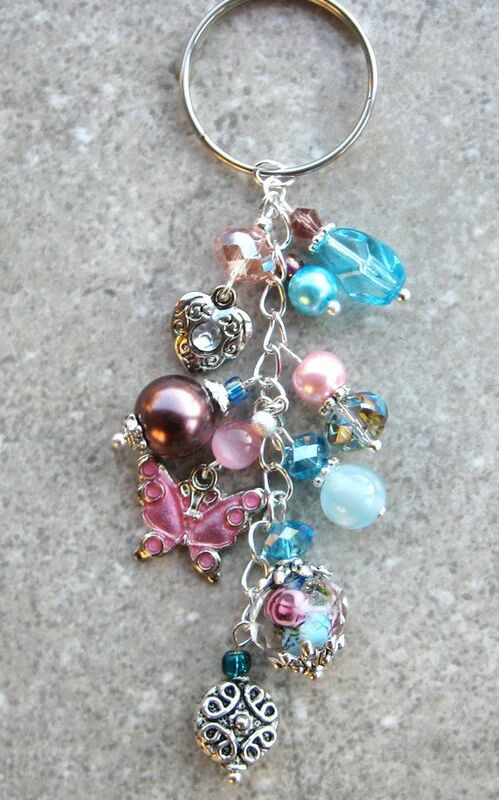 You will always have it easy manufacturing beads from glass to decorate your jewelry at home. The period you take in coming up with a bead will depend heavily on its intricacy as well as your proficiency in such tasks. If they are simple and you are used to making glass beads then be sure to spend very minimal time or vice versa. The time taken can as well be determined on the level of details that is required to come up with a single bead. 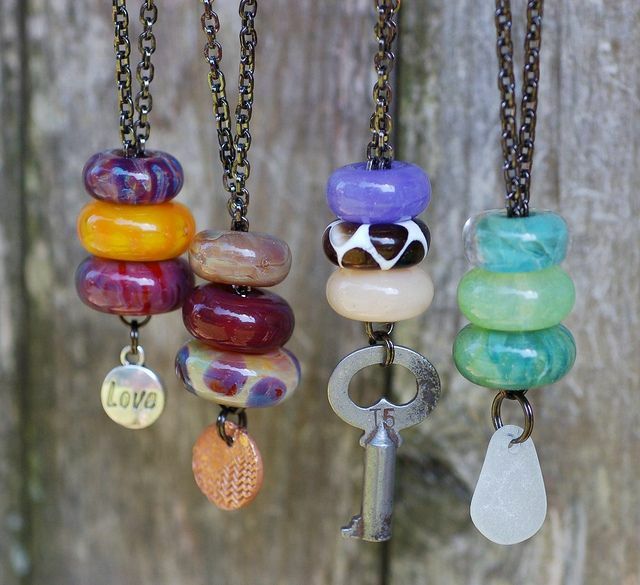 All in all, you should enjoy the flexibility of coming up with these beads on your own instead of buying. That will be the best way to have your needs fully satisfied. There will be no need to have specialized training for you to effectively decorate your jewelry using glass beads. As long as you have the basics of beading, there will be nothing difficult to deal with. Most of the bead makers who are successful have never stepped into any classroom to get formal training about beading. You just have to rely on your passion, hard work and determination to have that done. The biggest advantage of this modern world is that internet is very resourceful. You can get very many tutorials online including books, articles and videos to guide you on how to use these beads in decorating your jewelry. You can use them and it will be easy understanding what they entail within a very short period. They will help you to do it yourself without any help. When you choose to use glass beads for decorating your jewelry, it will be one of the best ways to add beauty and value at minimal cost and effort. This is because you will get beads of as many colors as you will wish to have in choosing the best one. If you want dark colors, light colors or a mixture of both, the market will give you all those options for free. It will be upon you to make wise and wide market considerations in ensuring that you have settled for the best that meets your decoration needs. 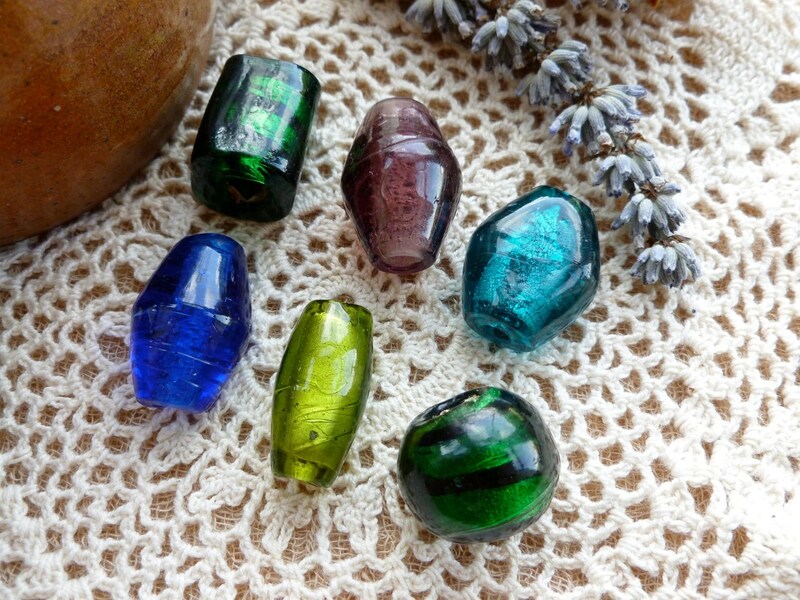 You can easily shape your glass beads to any preferred shape especially after heating. They become molten thus manipulating their shape is the easiest thing to do. Whether you want an oval, round or rectangular shape for your beads, it will be all upon you to make the right choice. There will be no limitations on how to use these beads for home decorations. There are some materials very common with making beads and you should make that consideration top on your list. The main reason for this consideration is durability since you will want to enjoy the services of your beads for a longer period. When buying wholesale beads, make sure you have taken a keen consideration of material types among many other purchasing points. The following are the commonly used materials for making beads. 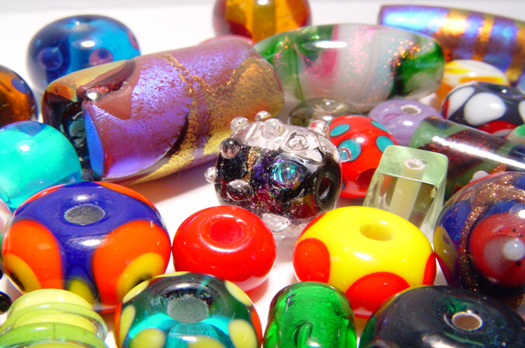 Glass– this is among the oldest material that has been used for beads making. For the choices that you come across in the market, it will be either matte or high-shine finish. The reason why many people prefer using glass for beads is because of its perfect compatibility. It can match well with any project falling under jewelry. You will have a huge variety of shapes and sizes of glass beads to consider buying. Acrylic– this material has all similarities with plastic and a good choice for making wholesale beads. It is known to be very durable making the material ideal for children jewelry. They are equally light in weight which is another desirable quality for jewelry intended for use by children. Crystal– this material is very popular in the world of jewelry. When used for making beads, crystal material suits dressy costumes because they add some sparkle. Among the many crystal beads manufactured and on sale in the market, it is considered that Swarovski crystal beads are the best. Gemstone– there is two types of gemstone material used for making beads; precious and semi-precious. 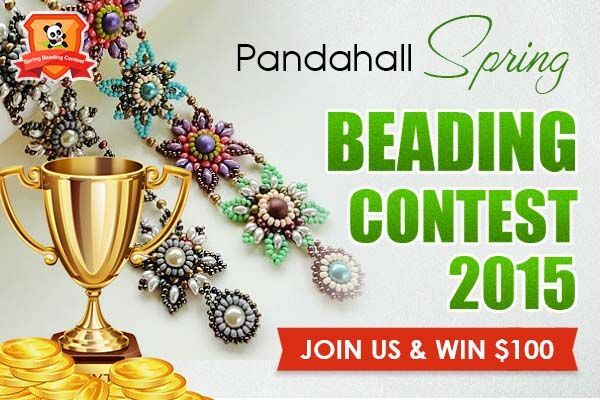 Whichever of the two you fall for, be assured of getting the best beads in the market. You will have the freedom of choosing from different shapes and sizes while their general appearance is polished. If you like light beads, these will not be a good choice for consideration because they have some weight. You can have these wholesale beads for bracelets and necklaces but are not good for children earrings. Metal– some of the metal used to make beads include Tibetan silver, pewter and brass whose availability in the market is widespread. It is common with many crafters to use the material for wood or glass beads as ascent pieces. There is a durability guarantee that comes with the metallic material for making beads. 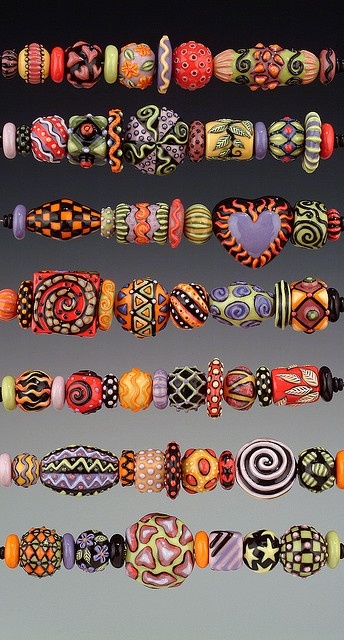 Wood– it is also a very popular material when it comes to making wholesale beads. The biggest advantage of metallic beads is that they have light weight and comes in different colors. You will have your right choice when looking for bright or dark colored beads for your jewelry. Wood is a material that best suits use for jewelry intended to be used by children as well as adults. Regardless of the material that you are looking for, your chances of securing the ideal beads in the market are always high. You just have to make wide considerations in the entire market and you will fall for the right one. Don’t choose a material that you are not happy with. Producing wholesale jewelry products requires a great artistic mind that can use different ornamental pieces to come up with a perfect piece of jewelry. Glass pendants are some of the pieces that can help you to achieve the quality of products that you want, because they display different and eye catchy colors with a vibrancy that cannot be matched. When it comes to producing wholesale products, variety is very vital and that is why you will need a variety of glass pendants. They will help you create unique and attractive jewelry. Be specific on the best colors, shapes that will give you many options to create jewelry that impacts the market in a positive and perfect way. You will be looking for a touch of attractive colors and shine, and dichroic pendants or any other elegant pendants can provide such. Artists who want to personalize their work may opt to fuse glass pendants that will fit their specifications but in these modern times, you can the pendants in any form that you want. All you need is to give the specifications to wholesalers and you will have your pendants in the shapes and colors that you need, read to be incorporated in your jewelry. Of all the jewelry items, glass pendants are among the ones that can be applied in different occasions and bring out the desired effects perfectly. When you are designing the jewelry across different age groups, you will not have to worry about what pendant to put on what class of jewelry, because the pendants fits almost every group. For wholesale production of jewelry products however, you will not have a hard time if at all you ensure that your jewelry has that touch of appeal to different age groups. 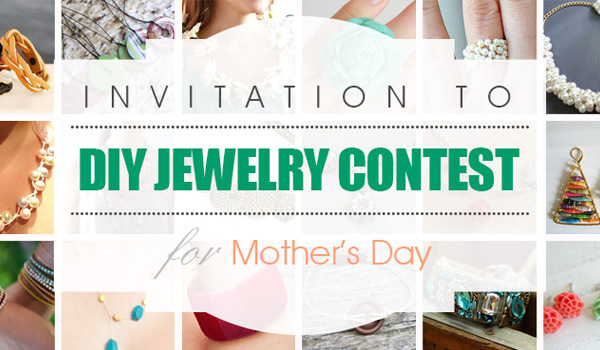 You are however supposed to balance the use of gemstones on the different jewelry that you are designing, because for instance you cannot put expensive gems on a pendant meant for a young child’s jewelry because it can be lost easily when the kids are playing. The best pendants for such pieces are attractive but not very expensive pendants, which should not worry a customer when they get lost. Glass pendants can be used to make jewelry for special occasions. When the wearer is going to have a lot of attention from the gathering, the jewelry should be more elaborate. It should also be classy and hence a bit expensive. They are mostly fragile which is oaky because they are not supposed to be worn on a daily basis. On the other hand, jewelry that is meant for regular use should have a strong necklace that is able to withstand the regular use. The jewelry should not be made of expensive glass pendants because they are prone to getting lost, and hence it will not be expensive to replace or repair it. Working with glass beads is something that you might not have considered as a jewelry designer but the truth of the matter is that you stand to enjoy incredible benefits by working with these beads. These beads are essentially available in a wide range of vibrant colors, finishes and shapes and you can be sure that they will give your jewelry piece that magical touch. 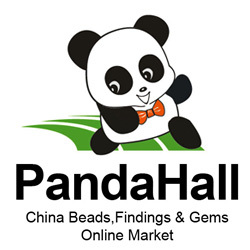 Pandahall has different types of these beads such as handmade dichroic glass, the Czech beads, lamp work beads, bumpy beads and even millefiori. These beads essentially come in different sizes and colors and are certainly worthy purchase. Sometimes, you will come across glass beads with some different fancy finishes such as druk glass or Aurora Borealis and you can be certain that these are fantastic selections that you should consider. Druk beads are characterized by being optically polished and are perfectly rounded, something that makes them a darling for many people. Another one is the luminous dichroic glass which is available in different shapes and there are also the crackle beads that are increasingly becoming popular nowadays. Beads having that pearl finish are considered to be of great value since they not only come in high quality but also depict a tremendous variety when it comes to shapes, colors and sizes. With so many different types of these beads, you can be certain that you will be able one that matches your tastes and preferences. Considering that making glass beads involve melting the beads to certain temperatures, manufacturers of these beads are able to create different shapes while at the same time make a number of layers on the beads as well. As such, it is very common for you to come across beads having raised decorations, dots, bumps and sparkly feathering which are all fantastic selections that you can ever imagine of. 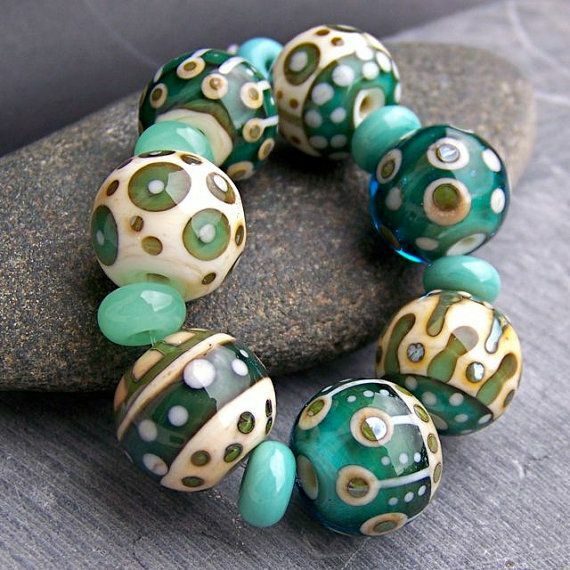 Today, you will find these beads available in a rainbow of textures and colors and as a jewelry designer, this certainly gives you some infinite design ideas and you can certainly be able to make any kind of creation that you want and be certain that it will live up to your expectations. The market is home to glass pears, cane and art glass beads and you can be certain that all these are fantastic selections that you should certainly consider. Glass pearls for example are available in so many different shapes and regardless of what you want, you can always be sure that you will be able to find it at pandahall.com. The good thing about these beads is that when compared to others available out there, they are much more inexpensive and you can certainly afford them. Due to their stunning look, these beads are able to greatly enhance the beauty and look of the jewelry pieces they are used to make. It is no wonder that jewelry pieces made with these beads are highly demanded and are certainly worthy buying.